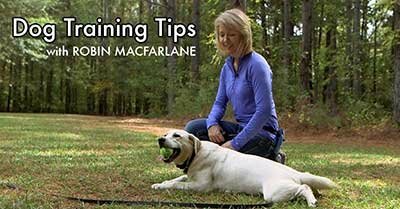 E-Collar Training for your Giant Breed Dog. Giant Breed Dogs: Walking them does not require super human strength when you know how to use an e-collar properly. Giant breed dogs always command the attention of the room wherever they go. It is impossible to not notice when a dog weighing 100 to 200 pounds happens to pass by. But if those big dogs decide to pull you when walking on leash, you better know how to hang on for the ride! Davinci, a young Great Dane who attended our Dog Camp weekend, was one of those big, exuberant types who "just wanted to say hello" to any dog or person who happened to pass by. It took some effort to hold him back when he put his mind to the task of moving forward. Life got a lot easier for his owner when she started him on an e-collar and learned how to use it to maintain his attention. He was a super quick learner and within minutes showed dramatic improvement in his understanding of remaining close by rather than pulling on the leash. Life got even better for Davinci too! Even though he has a super dedicated owner who spent a lot of time working with him, the added bonus of e-collar training provided the confidence to allow him more freedom. Within a few short days of starting the training he was far more trustworthy off leash and able to stay focused and well behaved even around lots of distractions. We happened to have cameras rolling when this big boy first experienced the sensation of stimulation from a remote collar. Take a look at how quickly he caught on to our little game of hot and cold while teaching him to stay close and on a loose leash while walking. This is a very typical response when we use low-level stimulation to communicate with a dog. No yelling, no frustration, no further need for super-human strength to hang onto these big, friendly canines! Pull-Quote= Giant Breed Dogs: Walking them does not require super human strength when you know how to use an e-collar properly.